Edinburgh Tram Extension – Do the costs outweigh the benefits? Tram Extension Benefits: Leith Walk is weed free, litter free, congestion free and cloud free! After years of debate, Edinburgh’s Councillors are being asked to consider a proposal to extend the city’s tram line (report, 29th Aug 2017). If we get this right, we will stimulate development and economic growth in some of Edinburgh’s most deprived areas by adding capacity to the transport network that connects them to central Edinburgh and the airport. Let’s be clear, the status quo is not an option if Edinburgh is to grow in a way that benefits everyone. The city needs to add capacity to its transport network in a way that is sustainable and for the many, not the few. We need a debate around this that focuses on people, not the old cars v trams debate the Tories offer. Consideration of active travel must be at the core of this debate, not just an afterthought. My heart tells me that extending the tram line, if we avoid the problems of the past, can meet this need. Like many Councillors I have already studied the Business Case and asked many questions of the Council Officers in the “data room”. Many of my questions remain unanswered, however, so I will be demanding a response at the Transport & Environmental Committee next week before the vote. The Tories are already making much of the project’s cost and the disruption it will cause. What they are quieter about is the fact that only a third of their number attended the data room, and some may only have made a fleeting appearance. Indeed, one of their number recently attacked the tram in an Evening News column without having even entered the data room. I would urge every Councillor and member of the public to put their prejudices aside, ask questions and consider the Business Case on its merits. 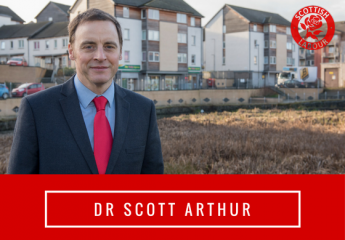 With the Nationalist Government refusing to back the project as part of the City Deal (despite finding £120m for a roundabout we didn’t ask for), it will mean more debt for our city and increased pressure on bus fares. The question is: do the costs outweigh the benefits? ← Is it time to rethink how we use slurry sealing? I think it is only sensible to finish the Tram project, and its good to see that the project will learn lessons from the enquiry that is going on into the first phase. However, I’m disappointed that the council doesnt seem to have looked into the possibility of completing the 3.5 mile Phase 1b extension from Haymarket to Granton. This would have been almost exclusively on the former Caledonian Railway branch to Granton. It would serve the Western General and the Granton campus of Edinburgh College. This would surely be much cheaper to build as well, as there is no roads to dig up, no businesses to compensate (other than at the waterfront). The belief is that what’s being proposed will more or less be self-financing. Apparently, all the other options are harder to finance. I hope to have this confirmed.